Hello Cal fans my name is Craig Woodson. I currently attend South Grand Prairie High School in the Dallas, Texas area. I play safety on the football field and compete in the high jump in the spring when track & field is in season. The recruiting process for me kicked off in the spring of 2018. I wasn’t one of those recruits that got offers at first glance. I really had to show what I was made of. I got my first offer from UTSA and then I got 3 other FCS offers after that. It was sort of exciting at first that I was getting any attention but after I while it became stressful once coaches would call and text everyday and you start building relationships. I didn’t get the Cal offer until a week before early signing day. I always pictured myself getting looks and recruiting attention ever since middle school but I never would have thought I would be in a situation where I had to pick between 2 schools with only a week to decide. It was crazy! Visiting Cal was one of the most amazing experiences I’ve had in a long time. I’ve never been to California before so I didn’t have a good idea of what it was like there. Once I stepped on campus, everything changed. The vibe of the people and the area was extremely unique. Everybody that I met was so chill and cool and that’s what I liked most about my visit. The Bay Area looks real nice and the campus was so big and fancy. Being at the stadium and being able to watch the players practice was a lot of fun. The atmosphere thoughout practice was so energetic and i loved it. I have a good relationship with the staff and they are real chill coaches. Coach Wilcox is a young head coach but I feel that he is leading this team in the right direction. I talked the most with Coach Alexander. He’s one of the coolest coaches I’ve ever met and I’m excited to build our relationship even more once it’s time to actually be a part of the team. Earning a a degree from Cal will be a huge accomplishment for me because I would be one of the only in my family to get a degree. A lot of people don’t get the chance to go to college at a top tier university like Cal Berkeley and I’m blessed to be in this position. The thing I will miss most about high school is the relationships that I had with some of the teachers and all of my friends. We’ve been together for so long and went through high school together and to leave them will hurt just a little. Some of my teachers I have made a huge impact on my life and I will never forget them. The thing I’m looking forward to most at Cal is living the life of a college student athlete, with everything that comes with it and all of the places you get to see because of it. I know I’m going to build great relationships with other players on the team and it’s time for new beginnings in my life. Another reason that factored into my decision to take my talents to Cal is because my brother, Myles Jernigan, will be coming as well. We’ve been close friends ever since the sixth grade and it is such a great opportunity for the both of us to continue to play together in college. 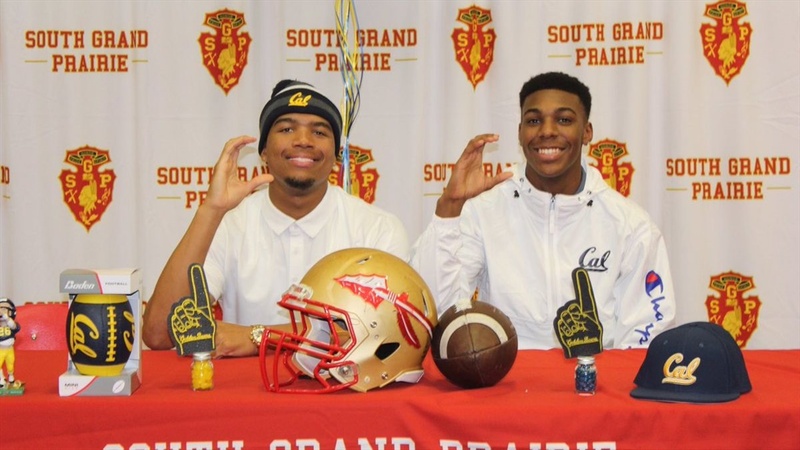 We both want to be the best football player we can be and with us going to Cal together, we can push each other and stay focused on our goals.